There comes a point in pregnancy where you just want to be comfortable. I’m in my 6th month and I’m in the stage where I want to wear very soft and comfortable shoes all the time. So what do I end up wearing? I have 2 flat soft soled shoes I love wearing with jeans or at times leggings or shorts. 1st are my gap flat shoes I bought on sale for around Php1,900-Php2,100. I just can’t remember (part of my forgetfulness when pregnant). They lasted me a day in Disneyland so I guess it’s been tested out quite well to be really comfy shoes. They have soft rubber all throughout the soles covering the entire soles of your feet. So if you step on something sharp, it won’t get destroyed nor would your feet get hurt. 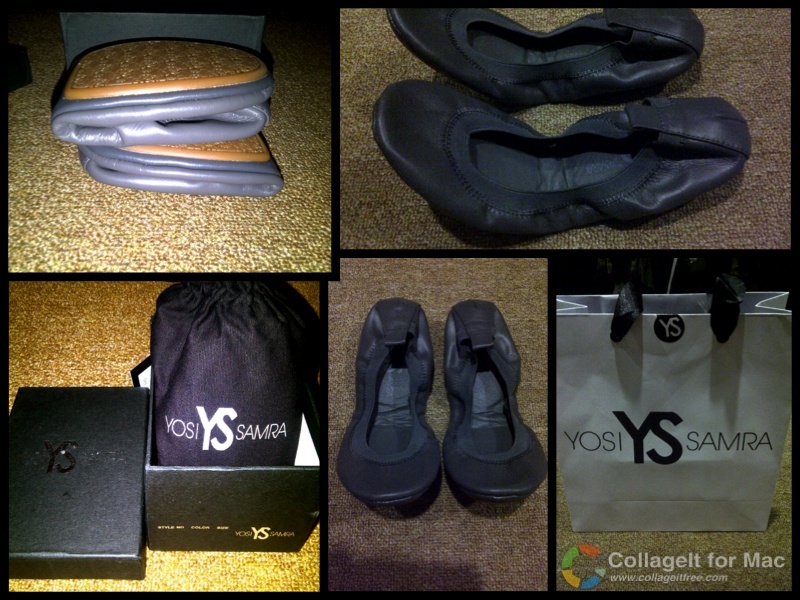 The other pair of comfy shoes are the Yosi Samra foldable flats. These are softer and foldable in half so you can easily put them in your bag for traveling or just having an extra pair with you. These shoes though are meant for flat surfaces. Don’t make a mistake in walking on small stones or anything sharp, wet, or rough with these shoes coz the leather underneath can get destroyed. The rubber soles don’t cover the entire soles of your feet so it could be folded in half. So it’s the part that doesn’t have any rubber sole that could get destroyed. So be careful. This retails for around Php2,250-Php3,000 depending on the material/style. You can buy these shoes at Power Plant Mall Archaeology wing and Guess outlets in the South and Greenbelt. Check out http://www.yosisamra.com/ for pictures of the different styles and colors. I wanted to get the perforated black ones but my size wasn’t available so I ended up getting a classic charcoal pair.